Rajio taiso (ラジオ体操), calisthenics performed under guidance from the radio, is a Japanese tradition going back to 1928 and the coronation of the Showa Emperor (1901-1989). 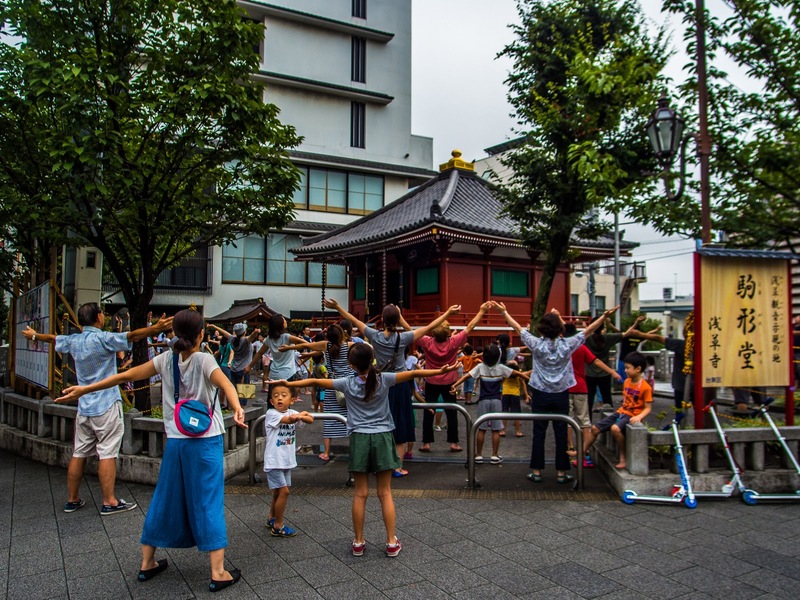 Although it brings to mind some of the darker aspects of that period, many Japanese still do it in various public areas like here, in front of Komagata-do Temple in Asakusa. The program lasts for a few minutes (3-5), it's made of simple exercises that everyone can do, it starts on 7 in the morning and it's open to anyone who wants to attend.